Summer isn’t officially here yet… but the fun has already begun! Something about the sweltering heat and bright sun makes us want to go out, lounge around on a patio (or in a cool air-conditioned dining room) with a yummy cocktail and let someone else do the cooking. What better way to do that than with 50% off?! Concentrics restaurant group is offering 50% off all summer long starting today! Yep… that’s all those pricy restaurants that we love, but we don’t go to nearly as much as we’d like because the $100 plus tabs are painful for our pockets…One Midtown Kitchen, Two Urban Licks, TAP, Parish , Murphy’s , Lobby Bar and Bistro, and Room at Twelve. Of course there are a few restrictions… $25 max discount at all restaurants except Murphy’s which has a $20 max, and only one discount per table per visit. So go and enjoy a date night and save some money! Here’s another little tidbit…. Checkout Find me specials, it's a great website that lists all the specials that are going on in the city (and OTP) each day. The great deal for tonight is all you can eat Tapas at Noche for $10. The menu changes daily and there are always a varity of delicious Spanish inspired dishes to enjoy. And one of my absolute favorite restaurants in Atlanta, Loca Luna, has their $15 all you can eat Tapas every Tuesday. I have to honestly say, the food is better than Noche… the flank steak with chimichurri and plantains are amazing! So many enticing flavors! Give it a try if you haven’t been. 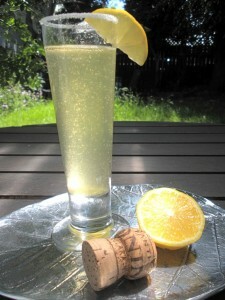 Thanks for reading and don’t forget to follow us here at http://citruscatering.blogspot.com.